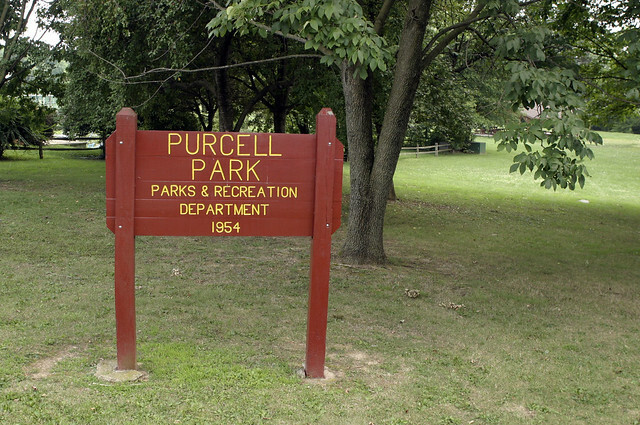 Purcell Park is a 67 acre park located on Monument Avenue on the east side and on South Main Street on the south side of the park. There are two entrances to the park - one from Monument Avenue and the other from Miller Circle off of South Main Street. The park has three softball/baseball fields, four tennis courts, two playground areas, three picnic shelters, several restrooms, and a 1.5 mile walking trail. A large portion of the Bluestone Trail also runs through the park. View Purcell Park in a larger map. Harrisonburg's 4th of July celebration takes place in downtown Harrisonburg!